Although Tom Stobierski indentifies himself as classical-based composer, his musical background differs a bit from common educational path. He grew up in southern Poland and graduated in 1999 from Silesian Technical University in Gliwice with a degree in computer engineering. It was quite a natural consequence of his youthful, technocratic deviation. Nowadays, that's sure - he's not a technocrat at all. Rather than a life passion, he considers the computer science as a source of his keep. 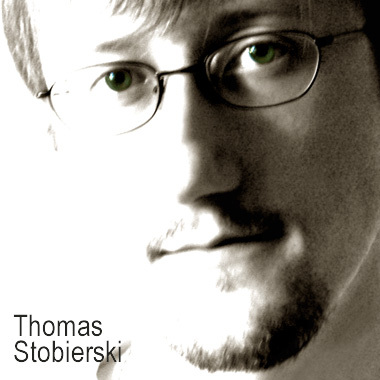 For more than 10 years Thomas Stobierski was working as a programmer for one of the Polish leading interactive agencies where he found his technical knowledge and sense of art useful. He's freelancer now. But considering the music, he started taking piano lessons at the age of 8. He also plays the saxophone, but most of the time he focuses on composition. A few years ago he graduated from Katowice Music Academy (composition & arrangement), too. His experience in this domain ranges in various musical styles from electronic-beat to strictly classical music and sacral art. Professionally Tom has scored dozens of multimedia presentations, websites and games. A beautifully orchestrated classical, Christmas track with a real grand, open feeling of new adventures, exciting new possibilities. Amazement, joy. A great track to convey the "magic of Christmas". Instrumental, Christmas, Xmas Orch. 60sec A - Christmas, Xmas Orch. 60sec B - Christmas, Xmas Orch. Loop A - Christmas, Xmas Orch. Loop B - Christmas, Xmas Orch. Loop C - Christmas, Xmas Orch.